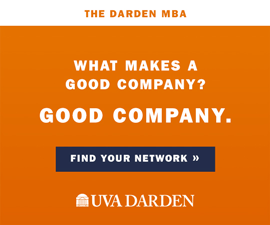 University of Virginia alumni from middle- and low-income backgrounds are some of the most successful in the world: 78 percent of our wealthy alumni are self-made, a higher percentage than any other institution, according to a study by the research firm Wealth-X. Those tenacious Virginia graduates, often helped by programs like AccessUVa, the University’s landmark financial aid program, are alumni we can be proud of. I would bet that few people have felt as lucky as I did to wear the honors of Honor. At age 15, I came out to my father and left home within a year. After high school, I received a few small scholarships and worked multiple jobs, but it wasn’t enough to attend UVA. A few years later, I was admitted to UVA. The financial aid office determined that I was eligible for AccessUVa, and I received a largely loan-free education. But in 2013, UVA’s Board of Visitors voted to modify the AccessUVa program, changing its loan-free grant packages for low-income students to aid packages that included loans, with debt as high as $28,000. I was among many students who were concerned that UVA would become inaccessible to bright, low-income applicants. Fortunately, in March of this year, the Board of Visitors voted to adopt the new Affordable Excellence financial aid model. The model reduces debt burdens by $10,000 for low- and middle-income Virginia students by raising all students’ base tuition and adding $1,000 step increases on top of that for incoming in-state students starting this academic year. Current students are not affected by those step increases, and saw their loan packages decrease and grant packages increase this fall. Some students have stated that a high-tuition/high-aid model is unsustainable, and that the University will be incentivized to admit more high-income students, hurting socioeconomic diversity. The whole point of programs designed to enhance diversity, like Affordable Excellence and Quest Scholars, is to enrich our student experience—preparing UVA graduates for the working world with diverse perspectives and a little more self-awareness. Others worry that the sticker shock could scare low-income students from applying in the first place. But I view the Affordable Excellence model as a step toward a renewed loan-free financial aid program. The model is not a perfect solution, but it offers significant debt reduction and bigger grant packages to students with financial need. It’s also worth pointing out that the admissions process at UVA is need-blind, meaning that the admissions office doesn’t know a student’s need until after an offer of admission is made. In fact, UVA admissions works to advance socioeconomic diversity through programs like the Virginia College Advising Corps, which sends recent UVA grads to work as high school counselors for students of different backgrounds all across the state. And UVA is one of just two public institutions that meet 100 percent of need for 100 percent of students. The model is a huge step for Virginia families earning less than twice the federal poverty line, or about $44,000 for a family of four. For middle-income Virginia students with need, the model is not quite as successful; Affordable Excellence reduces, but by no means eliminates, middle-class squeeze. There are ways we can address this. Alumni can help through giving. Of UVA’s nearly $7 billion endowment, about $60 million is currently directed to need-based scholarships. By growing that scholarship endowment to $1 billion, the University could potentially reinstate a no-loan policy for students with need, an endowment that is sustainable into the future. 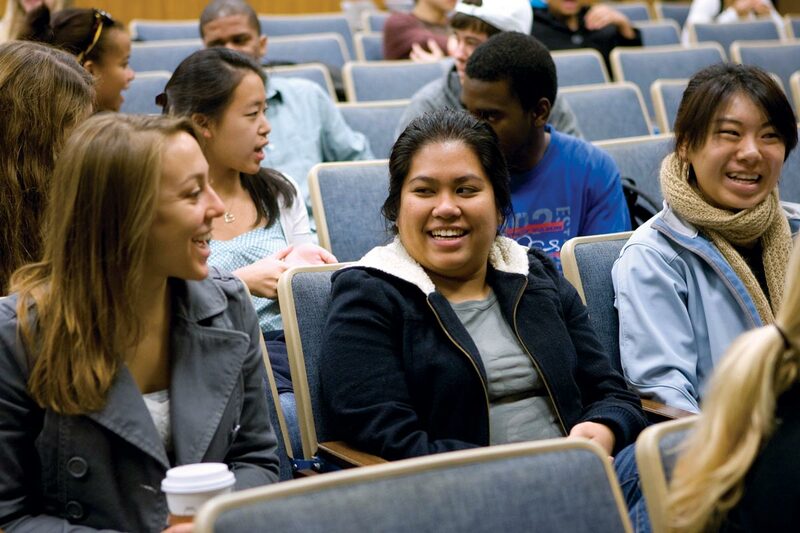 Students with financial need at the University are a good investment, and Affordable Excellence is a good start. For students like me who might not have been here without aid, it can make all the difference in the world. Brendan Maupin Wynn (Col ’14) is a candidate for a master’s degree in public policy in the Frank Batten School of Leadership and Public Policy. 2) According to the study cited in the article, AccessUVA students are as successful as any other students, becoming Rhodes Scholars and becoming leaders in their fields. These students can then in turn donate to AccessUVA and support other UVA students. The important thing is making sure they can get to UVA in the first place! I don’t think this is a case of stealing money from the pockets of wealthier families. I think it’s a case of supporting those who can’t support themselves now under the assumption that they will in turn become supporters later in life. When did it become anathema to finance one’s higher education through loans? When did it become a sine qua non of higher education that somebody else has to fund an elective undertaking of our own choice…in the case of the “Affordable Excellence model” through redistribution of assets? Yes, UVa students are generally a “good investment.” That’s why UVa students shouldn’t hesitate to invest in themselves via loans as opposed to looking for handouts. Like many from the “old days,” that’s how I paid for my own UVa education, both college and grad school. It took me time to pay it off, but at the end of the day I financed my education on my own and not on the backs of others (to paraphrase Orwell…apparently for people in the author’s world, making your way through life on the backs of others is always bad, but walking on some peoples’ backs is less bad than others). Finally, it’s important to point out that those who will receive the least (most likely no) aid through this program have already contributed the most to the state’s coffers via the income tax system. In sum, those who pay the most to support higher education in the state of Virginia are being told that they still haven’t paid enough. Of course, as we know, that’s the point. The definition of “fair share” is a constantly (upwardly) moving target, and those with their hands in your pockets will never, ever have enough.